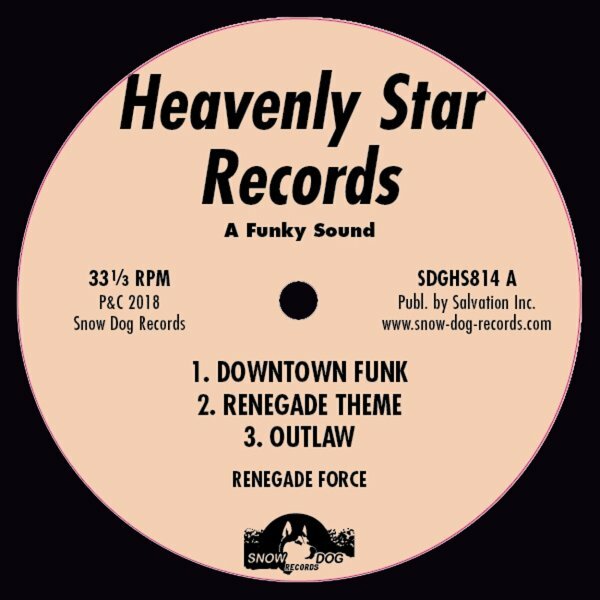 Fantastic funk from the Heavenly Star side of the P&P Records universe – instrumental cuts, but with a decidedly old school vibe – as if they were recorded by some funk band that had been jamming between DJ sets in the South Bronx! There's some cool spooky touches around the edges – almost like what Martin Hannett did for ESG on their early work – and titles include "Clocking Rocking", "Gangs & Thangs", "School Disco", "Outlaw", "Renegade Theme", and "Downtown Funk". © 1996-2019, Dusty Groove, Inc.